Anyone who has had the pleasure of planning to march a group in a parade knows that there are a lot of parade accessories to worry about. Besides the logistics of getting everyone to the start on time, you also need to worry about all of the part and pieces that will be carried or worn while marching. 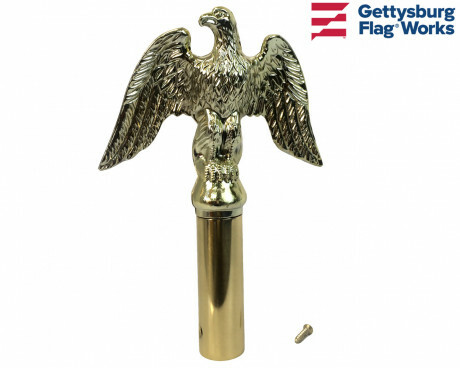 Gettysburg Flag Works can help you with many of those parts. Flag carrying belts come in single or double shoulder styles and add comfort for the flag bearer in your unit. These belts are available in webbing or leather and in black, white or tan. 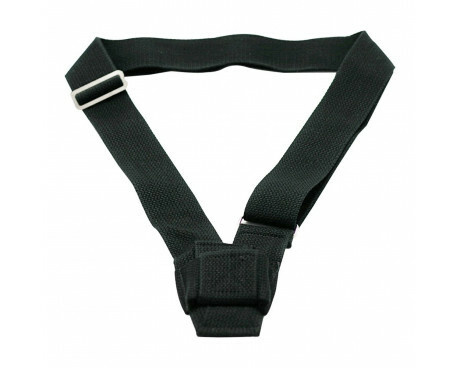 This is a harness that hangs from the shoulder(s) and has a pocket to support the weight of your marching parade pole and flag. Belts are fully adjustable. White parade gloves, and the Marine Corps belt aren't parade accessories that are directly related to flags but we can help to outfit your group with these unifying articles of clothing. Parade sashes are a beautiful addition to any marching group. Gettysburg Flag Works stocks St. Patrick's Day Irish Parade Sashes, Italian Columbus Day parade sashes and red, white and blue sashes for American patriotic holiday parades. We can also custom make a custom color and embroidered parade sash unique to your group. 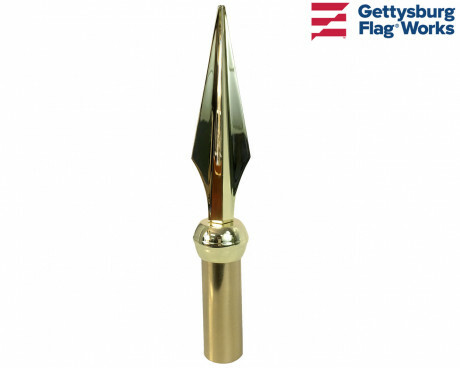 Gold fringe is a very common addition to a parade or presentation American flag, but did you know that we also carry fringe in black, royal blue, green, red, silver and white? We can add fringe to your new flag before it leaves our warehouse or you can purchase just the fringe by the yard for adding to existing flags at home. Presentation flags are the fringed, indoor flags that you see at the front of a church, by the speakers podium at events or in high-end offices. There are many little accessories that make this sort of set work and look so beautiful. 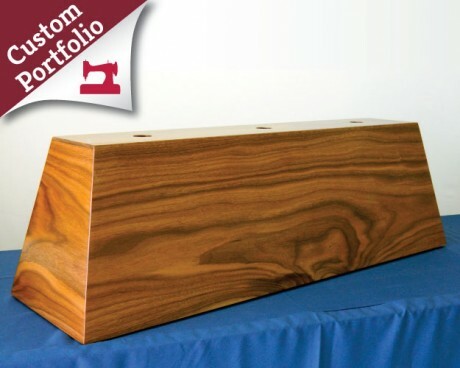 Leather flag tabs are made to be sewn into the sleeve of a presentation flag so that it can be mounted to your presentation pole. 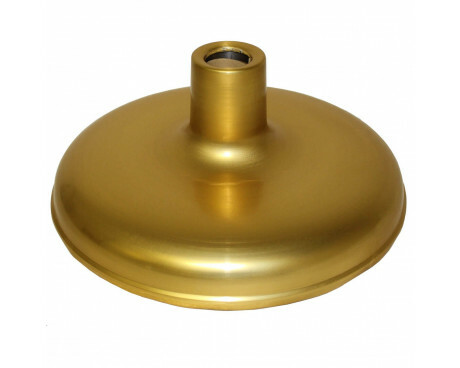 Most sleeved flags come with this already in place, but if you are making your own flag or repairing an indoor flag, this is the part you need. 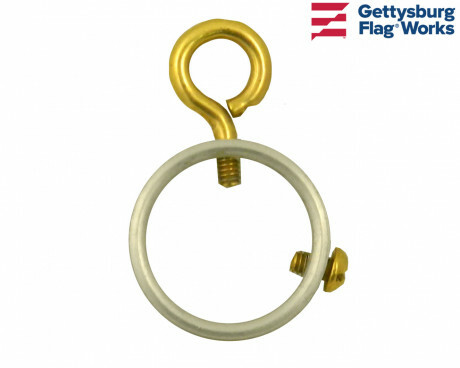 Flagpole rings come in gold aluminum or plastic and can be used to hold your flag onto the presentation pole or the cord and tassel. 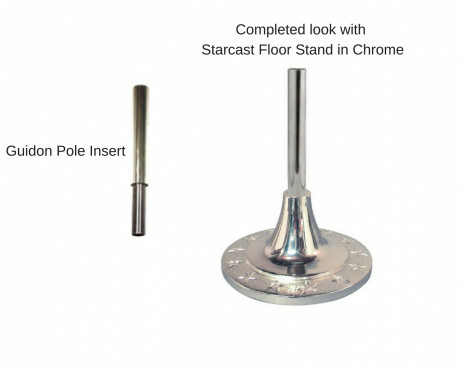 These slide onto the pole and have a screw that tightens into the pole wherever you need to mount something to your pole. 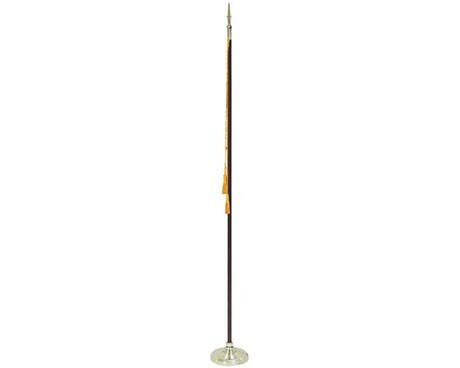 Simply measure the diameter of your pole to select the right one for you. 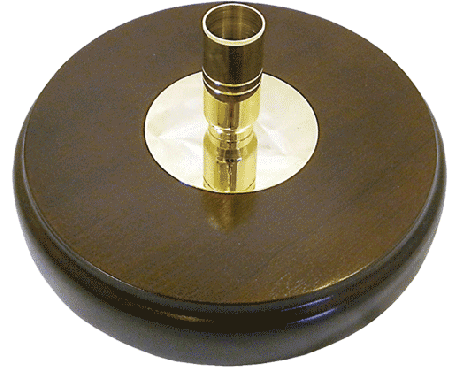 Floor stands often come with adapters to allow you to use any size diameter pole in your flag base. 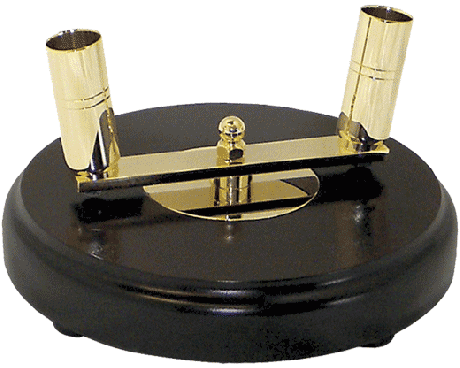 If you've misplaced your adapter sleeves or have a base that didn't come with them, we carry just the adapters for your convenience. Zip ties have a thousand uses, including as a parade accessory. 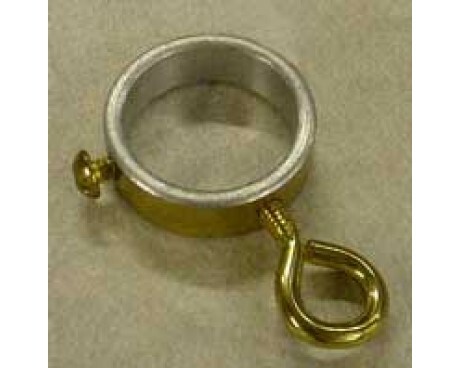 They are handy to have around when you find yourself missing a ring or with a broken part to your flagpole. 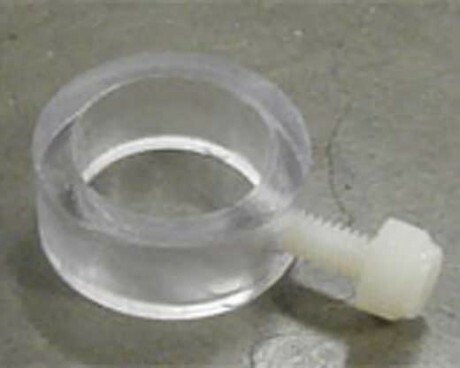 We offer several sizes of standard zip ties and 8" long reusable zip ties. 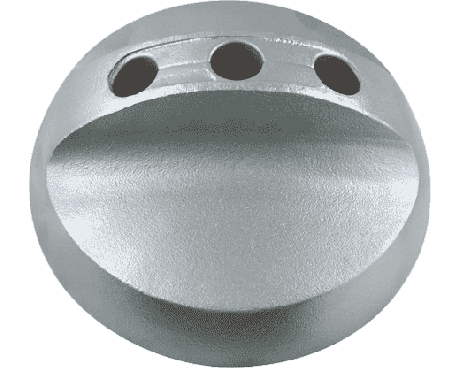 Flagpole finials like acorns and wood ball tops are available as an addition to your parade pole or presentation set. 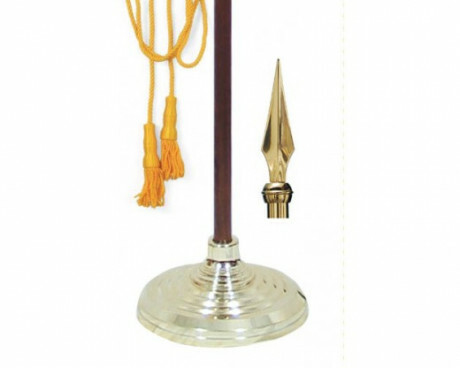 Cord and tassel parade accessories are also used on presentation sets. 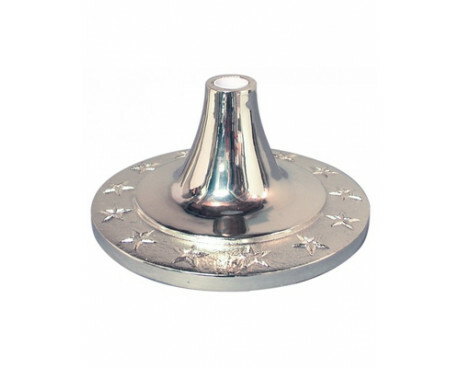 This is a purely decorative addition to your flag and comes in gold, white, silver or black and in several sizes. 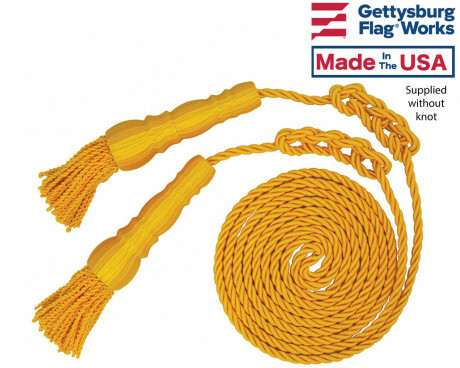 Add the finishing touch with our optional flag-man's knot tied into the cord and tassel for your flag. A crossbar mounting support is a unique piece of parade hardware. 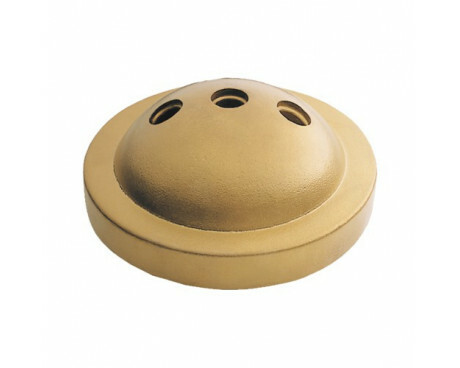 It is a hook and ring brass set for mounting a horizontal crossbar to vertical parade pole. 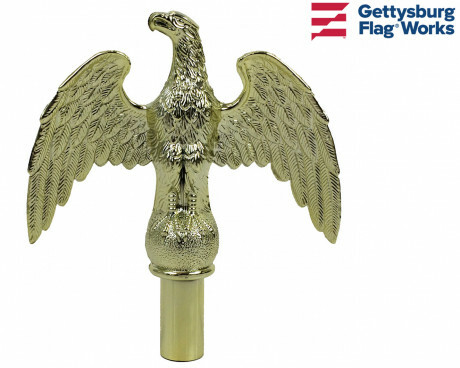 Turn To Gettysburg Flag Works For All Your Parade Flag Hardware Needs! 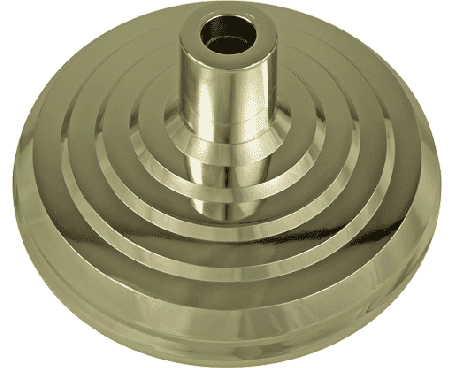 If you're in need of parade flag hardware, you've come to the right place. 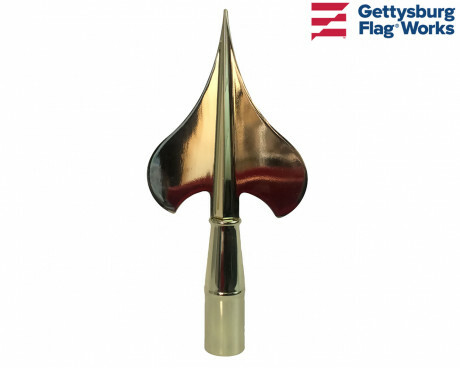 We carry a wide selection of products for indoor flag displays and parade flags, so we're a one-stop resource for everything you're looking for when it comes to indoor and parade flag accessories. 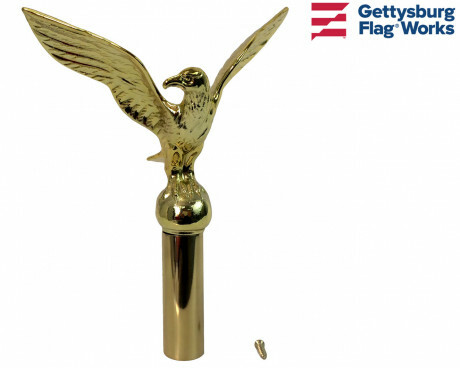 Did you know that Gettysburg Flag Works does a lot more than parade accessories? We can also make your custom flag or lead banner for parade day! Check out our custom parade banners here for ideas! Have questions or can't quite find the parade flag accessories you're looking for? 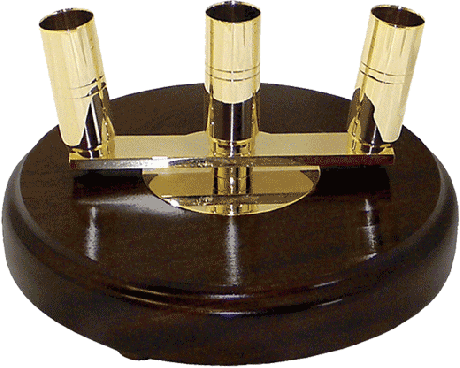 Give us a call at 1-888-697-3524 or contact us online and we'd be happy to assist you.